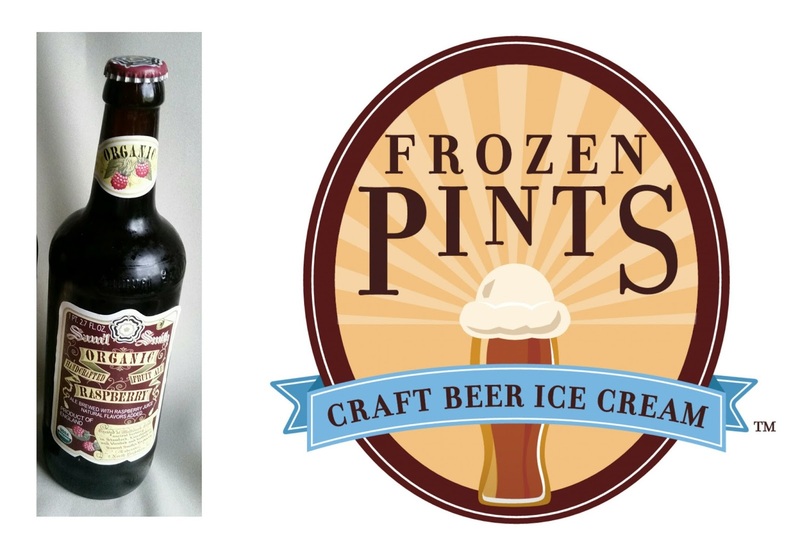 Thanks to Frozen Pints it's been a beer float kind of week. 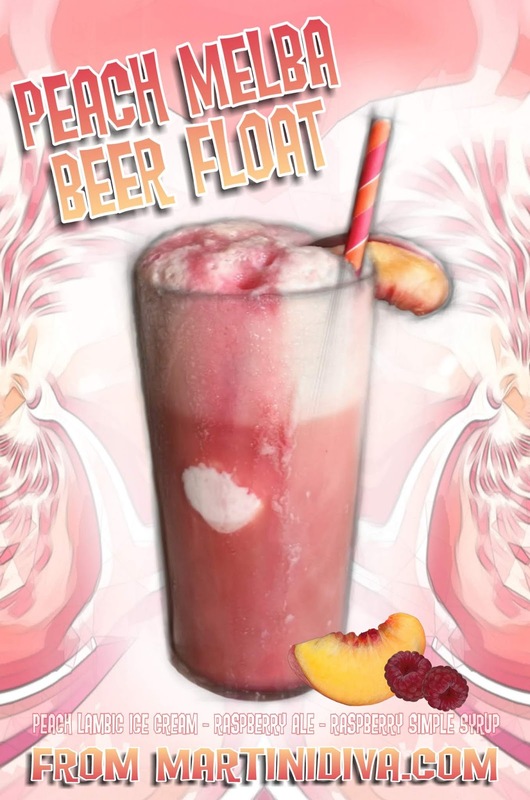 Wednesday I posted an off-the-cuff recipe for my Really Drunk Brown Cow Beer Float, yesterday I published two recipes for Chocolate Porter Beer Floats and Float Shots and today I'm sharing a really deadly good beer float using Frozen Pint's Peach Lambic Beer Ice Cream and Samuel Smith's Raspberry Ale. 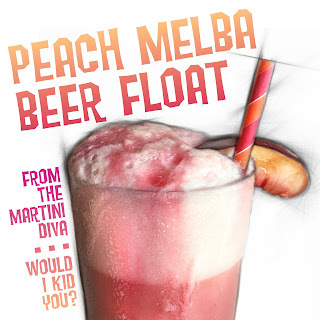 The whole inspiration is from Auguste Escoffier's famous Peach Melba. This is a classic dessert made with peaches, raspberries and vanilla ice cream which Escoffier created for the famous Australian opera singer Nellie Melba. Once I tasted the Peach Lambic Ice Cream I knew exactly where I was going with it. Even if you're not a beer lover you'll love this glass full of peach and raspberry ice cream treat. DIRECTIONS: Chill your glass in the freezer a few minutes before hand. Pour the Sam'l Smith Raspberry Ale down the side of the glass to keep the head minimal. Scoop out the Peach Lambic Beer Ice Cream and gently slide it into your glass. Slip the peach slice on the rim then pour the raspberry syrup over the floating scoop of ice cream. Add your straw and ENJOY!